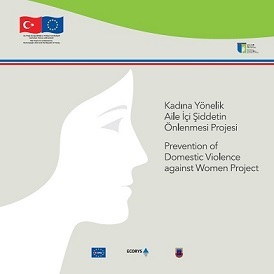 The project is a European Union Technical Assistance Project that aims at strengthening the capacity of the General Command of Gendarmerie for the prevention of domestic violence against women in Turkey. The project is implemented by the consortium led by Ecorys Research and Consulting (Turkey) and composed of Istanbul Bilgi University Human Rights Law Research Center, Ecorys Research and Consulting (United Kingdom) and BOLT International Consulting (Greece). Enhanced cooperation between the Gendarmerie General Command and relevant institutions on domestic violence prevention, and increased awareness among Gendarmerie personnel as well as public at large on violence against women issues. The primary target group of the project is the personnel of the Gendarmerie at all levels. In selected activities the staff of various institutions also participated: the Ministry of Family and Social Policies, Ministry of Justice, Turkish Statistical Institution, and civil society organizations, particularly women’s non-governmental organizations. Women and men residing in the area of responsibility of the Gendarmerie are the ultimate beneficiaries of the project. Research on local coordination mechanisms of handling violence against women cases in two selected cities (Adana and Zonguldak) and sharing of results at the quarterly coordination meeting in Ankara. The geographical area covered by the project is Turkey. However, the majority of activities were carried out in Ankara and 30 selected pilot cities. These cities are Adana, Ankara, Antalya, Aydın, Balıkesir, Batman, Bursa, Çanakkale, Diyarbakır, Edirne, Elazığ, Erzurum, Isparta, İstanbul, İzmir, Kayseri, Konya, Malatya, Manisa, Mersin, Muğla, Ordu, Rize, Samsun, Sakarya, Şanlıurfa, Tekirdağ, Tokat, Yozgat and Zonguldak. Please click to reach the project website (in Turkish). Please click to reach the training material of the project (in Turkish). Please click for photo & video gallery of the project.